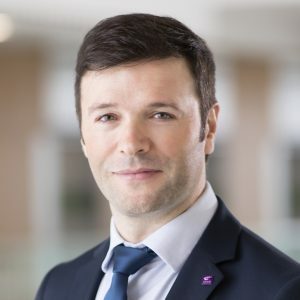 Prof. Luis Goncalves-Pinto is an Assistant Professor of Finance at The Chinese University of Hong Kong (CUHK). Prior to joining CUHK, he was an Assistant Professor of Finance at the National University of Singapore. His research focuses on managerial compensation and incentives, delegated portfolio management, information and liquidity in financial markets, limits to arbitrage and return predictability. His research has been published in top academic journals, such as the Review of Financial Studies and the Journal of Financial and Quantitative Analysis, and has been cited in the Financial Times, Bloomberg, and other media outlets. He obtained a M.Sc. in Finance from the University of Lisbon in 2005, and a Ph.D. in Finance from the University of Southern California in 2011.